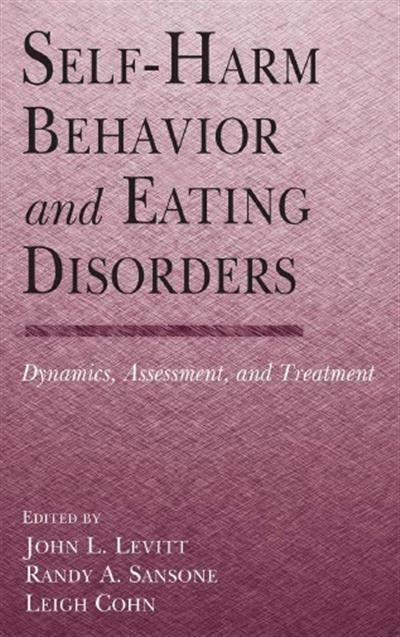 Self-Harm Behavior and Eating Disorders: Dynamics, Assessment, and Treatment | Free eBooks Download - EBOOKEE! The number of eating disorders patients presenting with symptoms of self-harm is growing quickly, and yet there is surprisingly little known about this unique population. Self-Harm Behavior and Eating Disorders explores the prevalent but largely uncharted relationship between self-injury behaviors and eating disorders symptoms. In the first major book to focus on this area, a renowned group of international scholars and practitioners addresses the subject from a variety of theoretical and practical perspectives. The book is categorized into sections covering epidemiology, psychodynamics, assessment, and a final section covering potential treatment options, including dialectical behavioral therapy, cognitive therapy, interventions strategies, group therapy, and pharmacological approaches. This unrivaled collection of case studies, theoretical exploration, and practical application forms a benchmark for the field, and offers a stepping-stone for new research and innovative treatment strategies. In an area with little available information, previously spread out among diffuse sources, this volume represents the state-of-the-field resource for anyone working with complex eating disorders patients. No comments for "Self-Harm Behavior and Eating Disorders: Dynamics, Assessment, and Treatment".